*all remaining sites are first-come, first-served. NOTE: The Park is open year round unless inaccessible due to weather conditions, especially during the off-season. 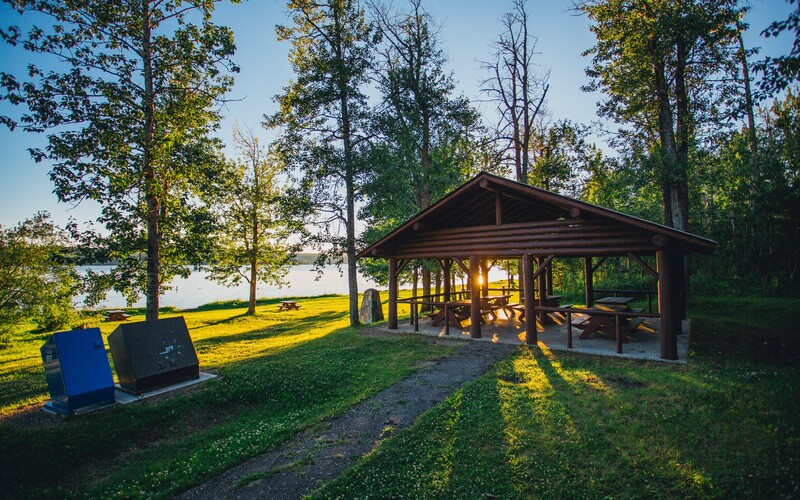 Beatton Provincial Park is a year round recreational facility located on the shores of Charlie Lake. The park is located a short distance north of Fort St. John. This 312 hectare park is a popular summer recreation destination for swimming, fishing and hiking. Beatton also offers excellent winter recreation opportunities. Experience 12 km of groomed cross-country ski trails designed for novice, intermediate and advancing skiing. Visitors have a good chance of seeing deer or moose which frequent the park during the winter. Picnic Shelter: The picnic shelter in the day-use available for registration at this campground. To reserve the picnic shelter, please email info@sandstormnorth.ca with the date, estimated number of people, type of function, and contact person with contact information. *Note* Alcohol is not allowed in the picnic shelter and surrounding public areas. Flowers, trees and shrubs are part of the park's natural heritage, please don't damage or remove them. Deer and moose frequent the park during the winter.